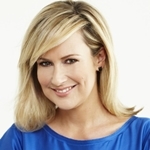 On Boxing Day 2004, an earthquake off the Indonesian coast triggered a tsunami that caused massive devastation to a number of countries including Indonesia, Sri Lanka, India, Thailand, the Maldives and Somalia. 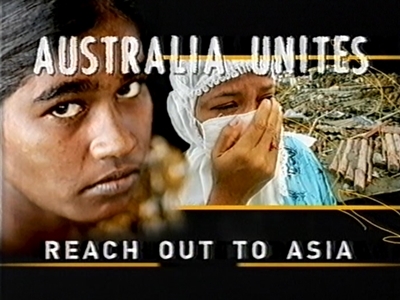 Over 200,000 people were killed by the tsunami with many more injured or unaccounted for. 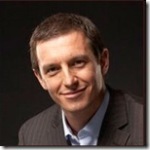 Whole towns and villages were decimated. 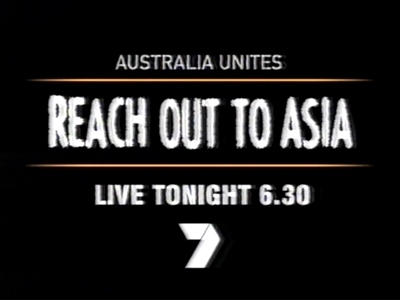 Two weeks after the tsunami, Australia’s Seven, Nine and Ten networks held a history-making telethon for aid organisation World Vision to raise funds for the relief effort. 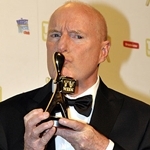 It was a rare show of unity among rival networks. 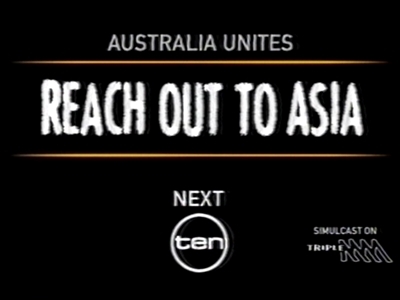 Australia Unites: Reach Out To Asia was held on Saturday 8 January 2005. 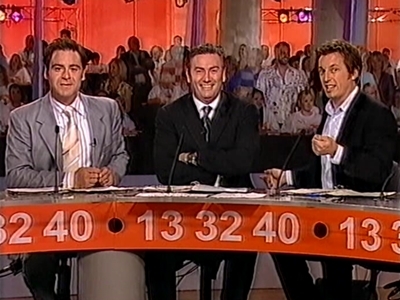 The telecas,t was hosted by Andrew O’Keefe (Deal Or No Deal, Seven), Rove McManus (Rove Live, Ten) and Eddie McGuire (Who Wants To Be A Millionaire, Nine). 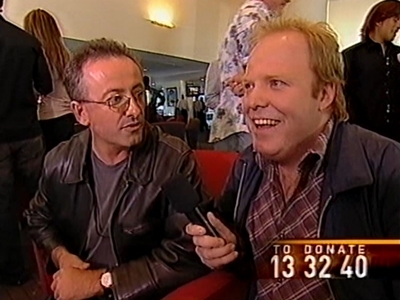 Joining them as part of the telethon were presenters and celebrities from all three networks, including David Koch and Melissa Doyle from Sunrise (Seven), Larry Emdur (The Price Is Right, Nine), Gretel Killeen (Big Brother, Ten), Catriona Rowntree (Getaway, Nine), Bert Newton (Good Morning Australia, Ten), Daryl Somers (Dancing With The Stars, Seven), Richard Wilkins (Today, Nine), Peter Helliar (Rove Live, Ten) plus cast members of various network programs. 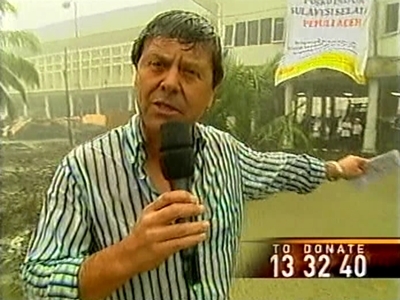 Ray Martin (A Current Affair) was reporting from Aceh, Indonesia, one of the most significantly devastated regions. 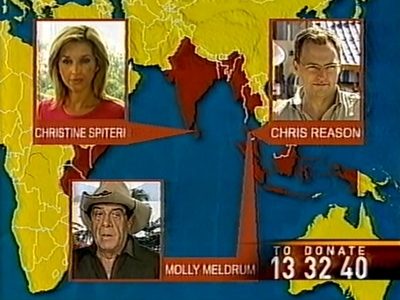 There were also live crosses to Christine Spiteri in Sri Lanka and Chris Reason and Ian ‘Molly’ Meldrum in Phuket. 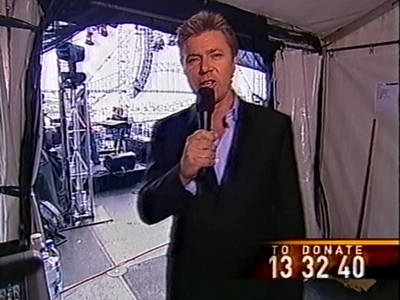 The telethon was based at Telstra Dome (now Etihad Stadium) in Melbourne with an open-air concert held outside the Sydney Opera House, featuring performances by Jet, Spiderbait, Missy Higgins, Killing Heidi, Kasey Chambers, Noiseworks, The Dissociatives, Guy Sebastian and Alex Lloyd. 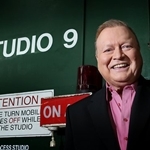 The telecast was broadcast simultaneously across Seven, Nine and Ten networks, radio Triple M and internationally via the ABC‘s Australia Network which broadcast to some of the countries affected by the disaster. 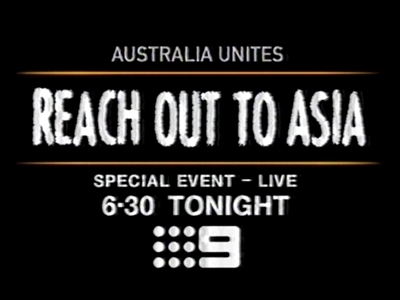 Australia Unites: Reach Out To Asia achieved a total of $20 million in donations and ticket sales.